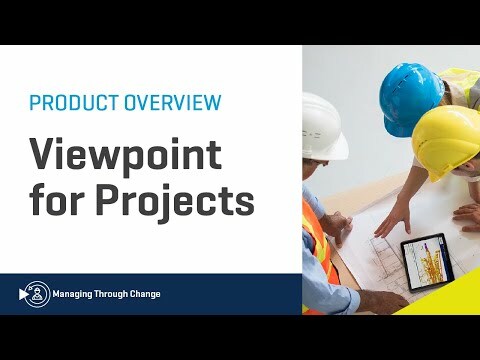 Viewpoint for Projects is a document control solution for all of your construction documents such as drawings, submittals, contracts, photos and models. Share, manage, and collaborate on documents in one secure, easy to access location. This configurable web-based software drives consistent standards and transparency with internal and external project teams. With view and markup and revision capabilities, you’ll see changes in your documents and keep projects moving along with tasks and notifications — reducing risk and improving project delivery. Viewpoint Construction Software have been fortified with strong Pacific Northwest values. Much of that dedication comes from the leadership team who has partnered a deep passion for sustainable and environmentally ethical business with their pursuit for innovative solutions for the construction industry. Always willing to collaborate with customers on resolving any issue, Viewpoint's executive team is always a phone call away. Get to know us. Together these organizations will employ cutting-edge tools, including Big Data & Analytics in order to identify trends that affect productivity. Even with simple projects, document management can spiral out of control quickly.